Pascale was born in January 1969 in Luxembourg where she spend the most of time. 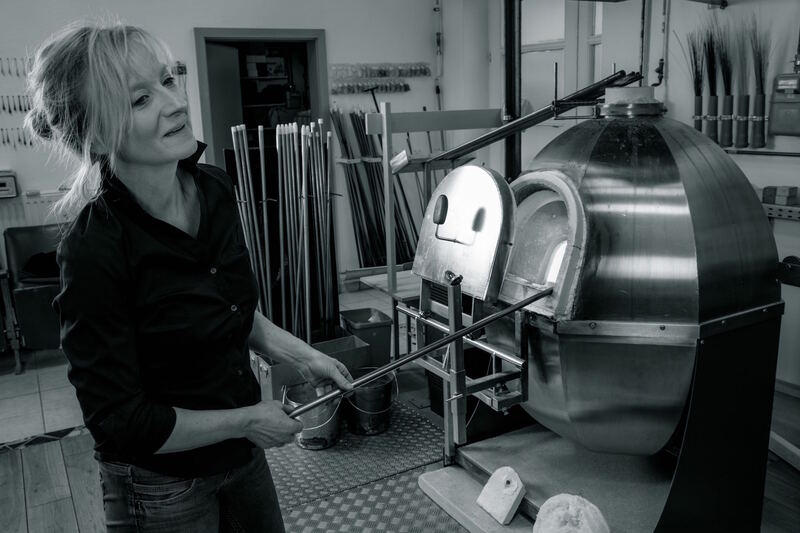 Graduated in Ceramic in Luxembourg School Arts and Crafts in 1987, she continued her studies at the University Decorative Arts in Strasbourg from 1987 till 1991 where she discovered glass blowing. Fascinated from these technique she traveled to Saumur in France. In Saumur she assisted Scott Slagermann. Scott is a famous Glassblower from The United States. At the Glass-School CERFAV in Vannes le Châtel , also in France, she graduated as a Glassblower in 1995. 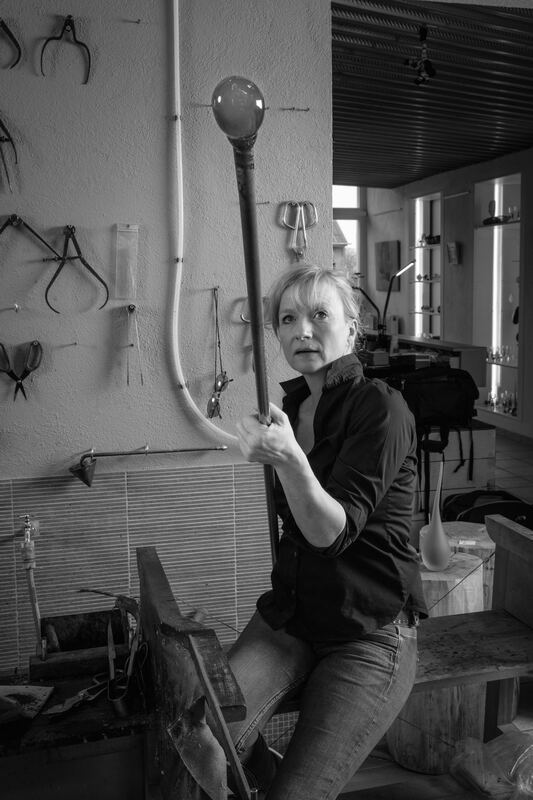 After she opened her own Glasstudio in beautiful village of Berdorf, in the middle of Mullertal Luxembourg. Till today she is producing small series of tableware and exclusive and unique sculptures, often inspirited from the nature around Berdorf. In 2006 she created and developed a new company together with Henry Dostert named Solstice. Solstice is well known for individual and customized design lightning.